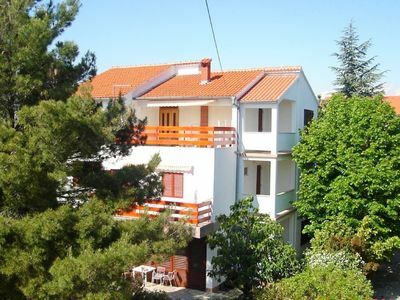 Terrace and balcony with sea view, 2 bedrooms, outdoor pool, 2 rooms, 4 + 2 persons, air conditioning, barbecue, for families with children. 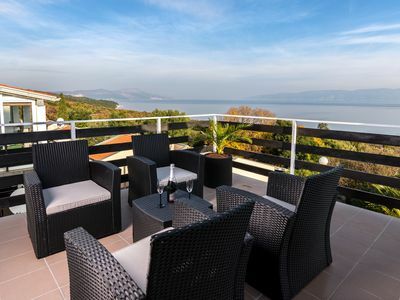 This holiday house with pool is situated above Baška Voda, in the hamlet of Bast. The house was completely renovated in 2012. 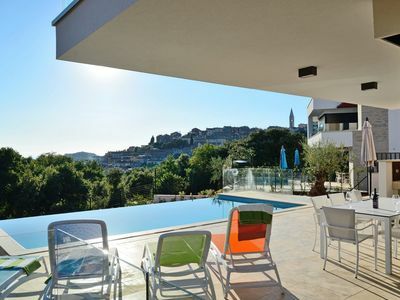 The house has three floors with a total of two bedrooms, two bathrooms, terrace with sea view and pool, a large kitchen. On the ground floor is a living room with a sofa bed, TV / SAT, internet connection, the bathroom with shower and washing machine. Balcony with sea view. 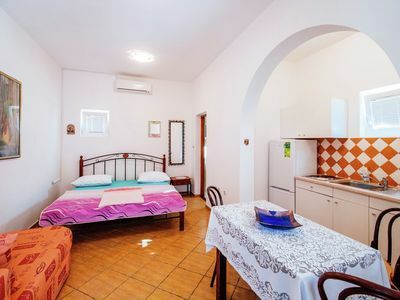 On the first floor are two bedrooms with double bed and a bathroom with bathtub. In the house there is central heating, air conditioning, washing machine, internet connection, TV / SAT. Downstairs is a fully equipped kitchen with stove, refrigerator, coffee machine, dining table with 10 chairs, TV / SAT, radio, cd player. From this room you reach the terrace and pool. Terrace extends over three floors, the barbecue is af the second terrace floor. Two parking spaces are available in front of the house, 40 meters away. 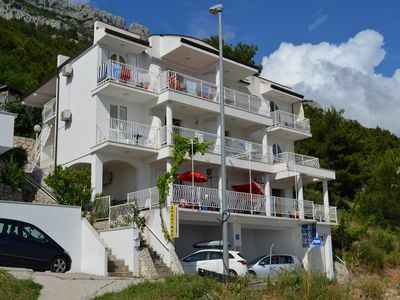 This holiday house with pool is situated above Baška Voda, in the hamlet of Bast. The house was completely renovated in 2012. 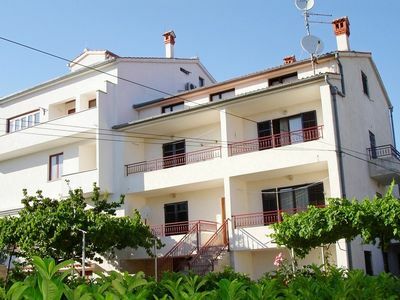 The house has three floors with a total of two bedrooms, two bathrooms, terrace with sea view and pool, a large kitchen. On the ground floor is a living room with a sofa bed, TV / SAT, internet connection, the bathroom with shower and washing machine. Balcony with sea view. 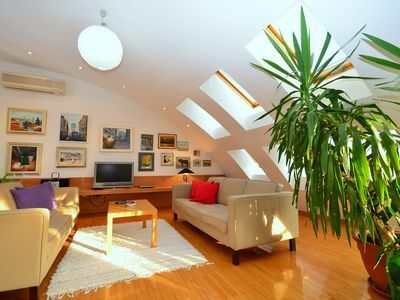 On the first floor are two bedrooms with double bed and a bathroom with bathtub. In the house there is central heating, air conditioning, washing machine, internet connection, TV / SAT. Downstairs is a fully equipped kitchen with stove, refrigerator, coffee machine, dining table with 10 chairs, TV / SAT, radio, cd player. 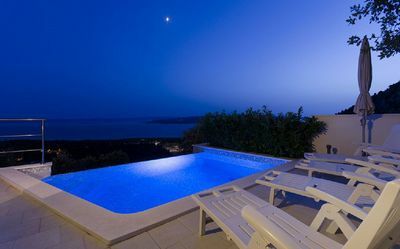 From this room you reach the terrace and pool. The barbecue is in the garden. Two parking spaces are available in front of the house, 40 meters away.